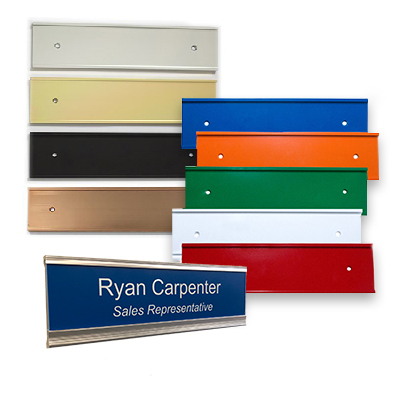 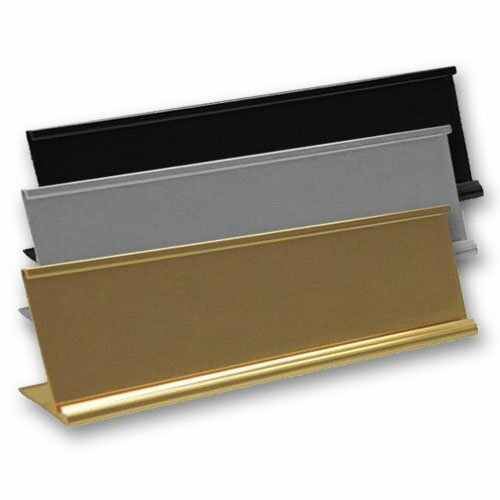 Black, Gold or Silver Desktop Office Name plate Holders. 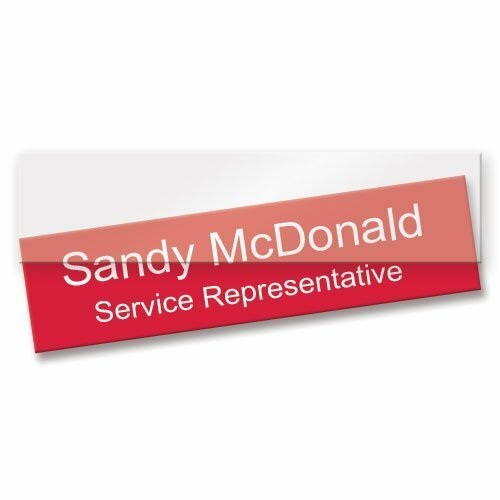 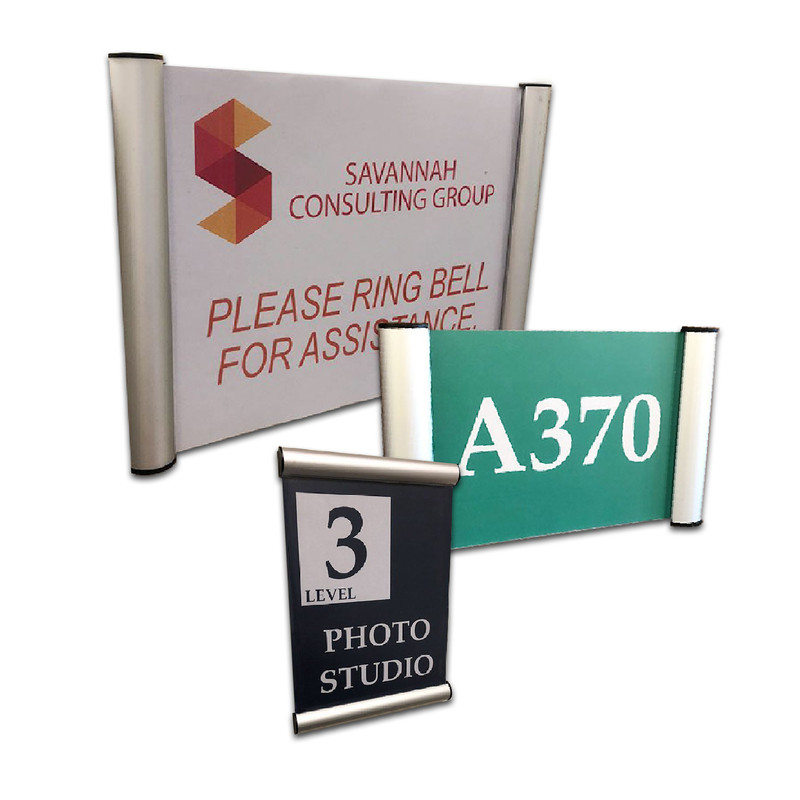 A unique sign solution for office name plates or directional signs. 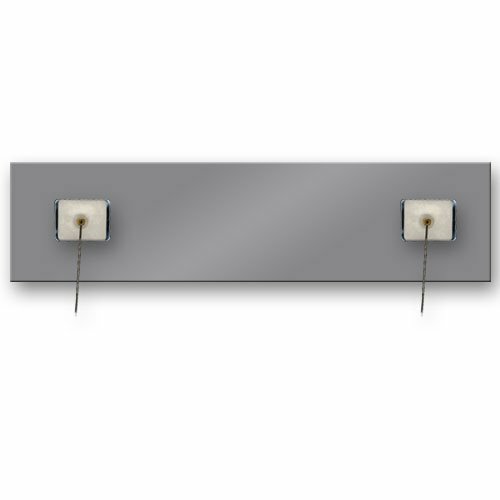 Sleek, modern design adds a professional flair to the office. 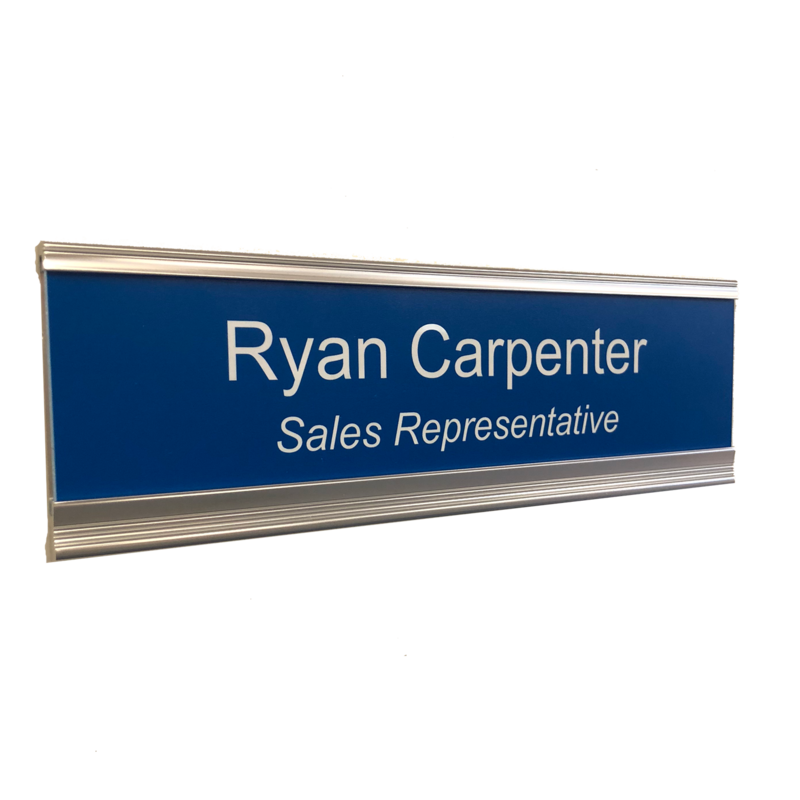 Clear Plastic inserts slide in front of nameplate.